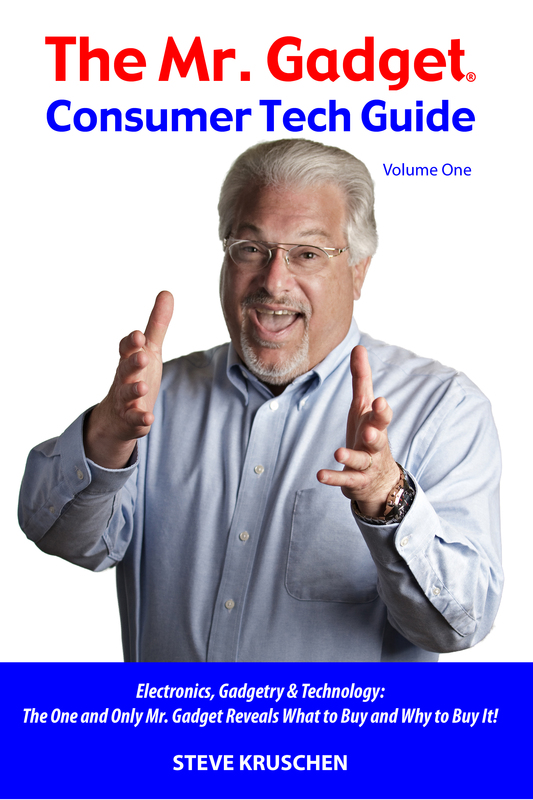 Read the how and why about this list from the top of the #10 post, then come back to read about Open It! Open It! is another essential for every home’s utility drawer and for small offices. Open It! is a 5-in-1 multi-use tool. Its unique stainless steel jaw design allows it to cut through sharp-edged blister packs with ease and without damaging the user’s hands. 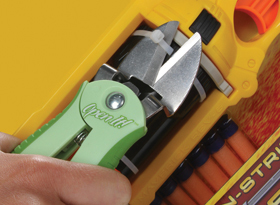 Use the scissor-like jaws to cut through packaging – plastic straps and ties (such as on toys), paper, cardboard and more. 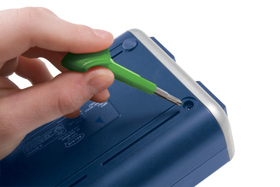 With a built-in spring-loaded (and therefore protected) retractable blade that is ideal for opening taped-closed boxes and CDs, and a dual-head little screwdriver for opening battery doors. The cutting jaws’ angle can also be used as a bottle opener. Another great gift idea, Open It! sells for about $10 online and in numerous local stores. See this and other useful Open It! products at http://www.enjoyzibra.com/. 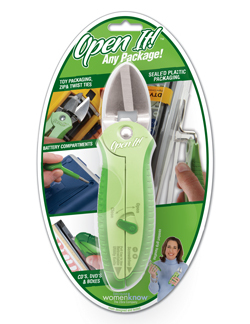 Sure, the jaws and retractable blade will dull over time, but Open It! will be your best friend at birthday parties and at holiday time, and will last for many years before it will require replacement. 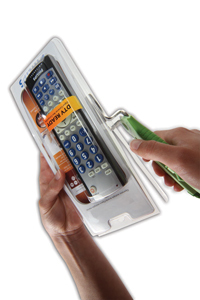 Don’t forget to pack it along for any occasion likely to need such a tool to open gifts and packages. Buy Open It! online and locally at most Bed, Bath & Beyond stores, from Amazon, and eBay.